TV Aerial installations, repairs and upgrades. 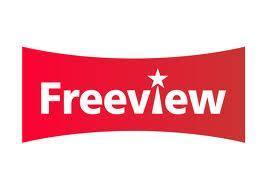 Professional TV aerials installed for digital TV covering Derbyshire Cheshire and Manchester area. We have many different types of TV aerial and we always use quality aerials, aerial masts, brackets, cable and amplifiers to ensure a quality installation that lasts. Before we install any aerial we do a signal test to be sure to fit the correct tv aerial for the signal area you are in. 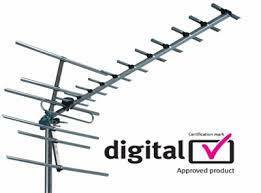 TV aerial installs are measured and aligned with digital signal strength meters to ensure the best signal strength and quality. We pride ourselves on our high quality work and clean and tidy attitude, we always clean up any mess and take away old aerials. Extra TV aerial points can be fitted to any number of rooms. It maybe just an aerial repair thats needed or a re-align, if you are experiencing aerial signal problems you can be confident that Skyprobe can get your TV pictures perfect. All work is completed by our highly skilled engineers and we never sub contract work out, if you call Skyprobe you can be confident your work will be done by us only. All at competitive prices. Damaged TV aerial? Need a repair quick? We can in many cases repair broken TV aerials from a TV aerial recable, broken TV aerial brackets or poles, a TV aerial re-align or an simple connection fault. 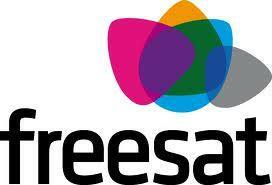 TV aerial repairs across Derbyshire, Cheshire and Manchester. 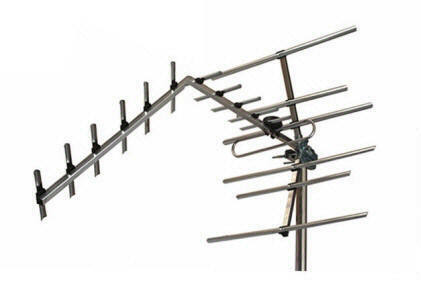 Extra TV aerial points can be fitted to any number of rooms and can be a cost effective alternative to separate TV aerials. 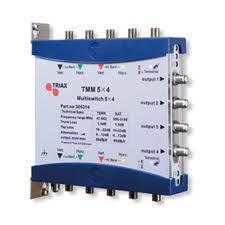 We use high quality cable, splitters and amplifiers. Extra TV aerial points fitted across Derbyshire Cheshire and Manchester. IRS Aerial systems used in apartments, flats and large developments, one aerial system enabling each apartment to receive digital aerial and satellite signal through a single outlet plate. The system would feed a hole apartment block or hotel through one TV aerial and only one satellite dish fed thoungh a central control panel. Irs systems installed repaired and upgraded across Derbyshire, Cheshire and Manchester.